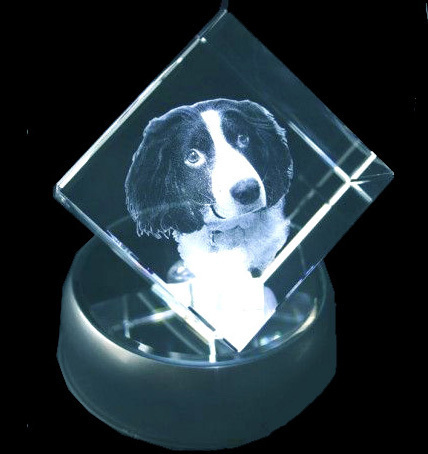 The Crystal Shop mini cuboid is an amazing crystal, designed especially for all pet lovers, bringing your pet to life within, with stunning results. The unit has a chamfer in one corner which allows the unit to stand on its edge. This listing is for the cuboid in 2D. This product is also available in 3D, please browse the site for 3D options.